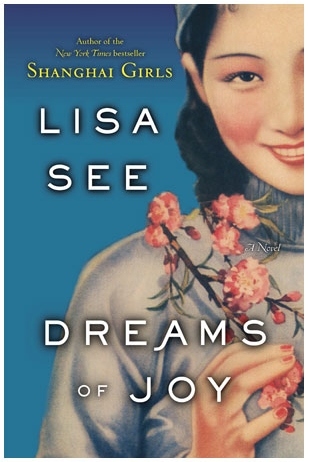 Coming to this second novel in which Lisa See continues the narrative she began in Shanghai Girls, with no familiarity of the original work or character origins, could have been frustrating were it not for the author’s talent at quickly immersing the reader in the lives of women who quickly become familiar constructs. The story that began with sisters Pearl and May now continues in the voices of Pearl and her daughter/niece Joy, whose traumatic family history leads to her running away to Maoist China, from the relative safe haven of the Los Angeles Chinatown that her Mother and Aunt had escaped to.The narrative is constructed through alternate short chapters by Joy and Pearl, and much of the immersive nature of the novel is down to the empathy See makes possible between the reader, worried mother and anguished, impulsive teenage girl. From the angle of contemporary women’s fiction, the author does much to create empathy within a generational, cultural and locational space which can involve not only the non-Chinese reader, but the woman who is not mother, and the young adult who is past the stage of impulsivity. This cartography of women’s experiences, which takes in victims of foot-binding tradition, peasant farmers and upper class women, old and young, is the mainstay of See’s offering to the contemporary women’s writing community. The story itself begins just on the cusp of Mao’s disastrous economic Great Leap Forward, and details not only the changes to Shanghai from Pearl’s generational point of view, but also the continuing degradation of the countryside, and its ideals of communist existence from Joy’s perspective as she watches those around her starve, and nearly succumbs herself. See’s research is meticulous, and the historical, cultural and social setting is completely believable despite the known scarcity of evidence from rural areas which were cut off from the cities and the wider world. In fact, the novel spurred me on to read more about the period, and led to a fascination with Chinese astrology and the history of foot binding. These themes are interweaved throughout the narrative, emphasising the disparity between cultural history and communist future, and thus the generational gap between the characters themselves. However, while the novel is a definite page turner, there are only hints at a theoretical underpinning which could take See’s work from popular novel (I refuse the term ‘holiday read’) to contemporary literature in the traditional sense. Discussions of the function of art and propaganda in the novel, and how Joy, having found and travelled with her artist father, uses these not only to express her fractured identity and to subvert social strictures, create an imaginative, radical space in the later portion of the book which is arguably missing from earlier chapters. Dreams of Joy begins as something we’ve read many times before – a tale of women trapped by familial, cultural and historical mores intertwined with oriental adventure story for a Western market– but becomes something much more philosophical in the face of the trauma of the Great Leap Forward, and highlight’s Lisa See’s potential to say something really quite socially and culturally profound in future works. This entry was posted in Book Review on 23/09/2013 by pgcwwn.